Built around a VGA (640 x 480) LCOS chip, the FAVI Mini Pocket Projector PJM-1000 works best as a business data projector, although it can also serve as a home projector for video and photos. It's best understood as a minimalist but capable offering. It doesn't include any audio support, but that's not much of a loss, given that the audio in most pocket projectors isn't particularly useful. Ultimately, although the PJM-1000 doesn't offer anything to make it stand out from the crowd, it's a perfectly reasonable choice, at $228 direct from FAVI Entertainment. Small, Light, and Highly Portable. Portability is one of the defining characteristics for pocket projectors, but some are more portable than others. The PJM-1000 does well on this score. It's smaller than many, at 0.9- x 1.9- x 4.5-inches, and weighs only 6 ounces complete with the battery, making it a comfortable fit for a shirt pocket. The cables and tripod are relatively bulky, but still easily small and light enough to throw into a briefcase, notebook case, or woman's handbag. One small oversight -- call it another minimalist touch --is that FAVI doesn't supply a protective sleeve or pouch. If you plan to throw the projector into a bag along with the cables, you'll either have to get a protective case separately or risk scratching the projector's case. Good Connectivity. Unlike some pocket projectors, the PJM-1000 comes with cables for both a computer and a composite video source. The computer cable, with a VGA connector on one end and a proprietary connector for the projector at the other, is an ample 40-inches long, which should be enough for connecting to a notebook in virtually any circumstance to show a presentation. The video cable, which has a miniplug at one end for the projector and an RCA-phono plug on the other, is even longer, at 63 inches. Here again, this should be long enough to connect to a video source in most situations. 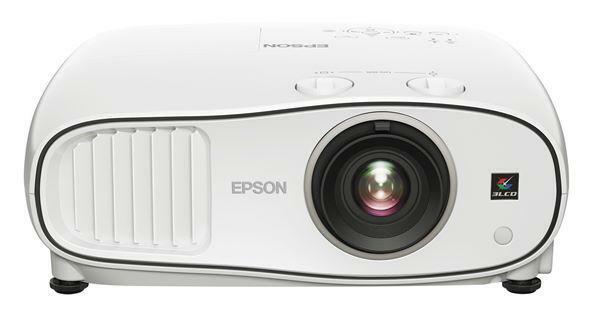 In case you need a longer reach, however, the projector also comes with a gender changer so you can connect the projector cable to a standard composite video cable going to the video source. The gender changer will also let you connect to the cable going to another device, like a cell phone or camera, that needs a special cable to plug into its own proprietary connector. Power for International Travel. The PJM-1000 power adaptor comes with an assortment of interchangeable plugs that according to FAVI will let you plug into a power socket almost anywhere on the planet, including the U.S., Canada, Europe, Australia, and most of South America, Africa, and Asia. Easily Adjusts Image Height. Many pocket projectors come with a tripod to help make it easier to adjust image height, but few are as useful as the one that comes with the PJM-1000. The tripod includes a quick release mount that you can screw into the bottom of the projector. You can then attach or detach the tripod itself in a just a second or two from then on. The legs are about five inches long -- an inch longer than with most pocket projector tripod legs -- which gives the tripod a wide, stable stance. Best of all, a ball joint on the mount makes it easy to point the projector in any direction. Who is FAVI? What about the famous(infamous? )FAVI Illumibright projector bulb? I ran across the FAVI name as an alternative name to OX PRO. The OX PRO projectors are all very inexpensive and most use an odd looking lamp. This lamp only costs about $28 on Amazon. It looks like a high intensity lamp for a home light fixture or table lamp. They supposedly last 6,000 to 8,000 hours. If any of this is true - who needs LEDs? I think the OX PRO and FAVI brands are Chinese engineered and manufactured products. Some of the forums have warnings from disatisfied former owners who claim that these products are junk. But who knows?